The perfect life of man falls short indeed of the life of God, because it is not self-perfect, but surpasses that of irrational animals, because it participates of virtue and felicity. For neither is God in want of external causes; since being naturally good and happy, he is perfect from himself; nor any irrational animal. For brutes being destitute of reason, they are also destitute of the sciences pertaining to actions. But the nature of man partly consists of his own proper deliberate choice, and partly is in want of the assistance derived from divinity. 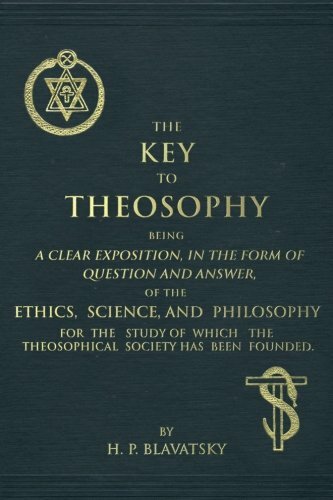 For that which is capable of being fashioned by reason, which has an intellectual perception of things beautiful and base, can erectly extend itself from earth, and look to heaven, and can perceive with the eye of intellect the highest Gods,—that which is capable of all this, participates likewise of assistance from the Gods. But in consequence of possessing will, deliberate choice, and a principle of such a kind in itself as enables it to study virtue, and to be agitated by the storms of vice, to follow, and also to apostatize from the Gods,—it is likewise able to be moved by itself. Hence it is a partaker of praise and blame, honor and ignominy, partly from the Gods and partly from men, according as it zealously applies itself either to virtue or vice. For the whole reason of the thing is as follows: Divinity introduced man into the world as a most exquisite animal, to be reciprocally honored with himself, and as the eye of the orderly distribution of things. Hence also man gave names to things, becoming himself the character of them. He likewise invented letters, procuring through these a treasury of memory. And he imitated the established order of the universe, co-harmonizing by judicial proceedings and laws the communion of cities. For no work is performed by men more decorous to the world, or more worthy of the notice of the Gods, than the apt constitution of a city governed by good laws, and an orderly distribution of laws and a polity. For though each man himself by himself is nothing, and is not himself by himself sufficient to lead a life conformable to the common concord, and apt composition of a polity, yet he is well adapted to the whole and to the perfect system of society. For the life of man is the image of a lyre accurately [harmonized,] and in every respect perfect. For every lyre requires these three things, apparatus, apt composition, and a certain musical contrectation. And apparatus indeed, is a preparation of all the appropriate parts; viz. of the chords, and of the instruments which co-operate with the well-sounding and striking of the lyre. But the apt composition of the commixture of the sounds with each other. And the musical contrectation is the motion of these conformably to the apt composition. Thus also human life requires these same three things. Apparatus, indeed, which is the completion of the parts of life. But the parts of life are the goods of the body, of riches, renown, and friends. The apt composition is the co-arrangement of these according to virtue and the laws. And the musical contrectation is the commixture of these conformably to virtue and the laws; virtue sailing with a prosperous wind, and having nothing externally resisting it. For felicity does not consist in being driven from the purpose of voluntary intentions, but in obtaining them; nor in virtue being without attendants and ministrant aids; but in completely possessing its own proper powers which are adapted to actions. For man is not self-perfect, but imperfect. And he becomes perfect, partly from himself, and partly from an external cause. He is likewise perfect, either according to nature, or according to life. And he is perfect indeed according to nature, if he becomes a good man. For the virtue of each thing is the summit and perfection of the nature of that thing. Thus the virtue2 of the eyes is the summit and perfection of the nature of the eyes; and this is also true of the virtue of the ears. Thus too, the virtue of man is the summit and perfection of the nature of man. But man is perfect according to life, when he becomes happy. For felicity is the perfection and completion of human goods. Hence, again, virtue and prosperity become the parts of the life of man. And virtue, indeed, is a part of him so far as he is soul, but prosperity so far as he is connected with body. But both are parts of him so far as he is an animal. For it is the province of virtue to use in a becoming manner the goods which are conformable to nature; but of prosperity to impart the use of them. And the former, indeed, imparts deliberate choice and right reason; but the latter, energies and actions. For to wish what is beautiful in conduct and to endure things of a dreadful nature, is the proper business of virtue. But it is the work of prosperity to render deliberate choice successful, and to cause actions to arrive at the [desired] end. For the general conquers in conjunction with virtue and good fortune. The pilot sails well in conjunction with art and prosperous winds. The eye sees well in conjunction with acuteness of vision3 and light. And the life of man becomes most excellent through virtue itself, and prosperity. THE GOOD AND HAPPY MAN. In the first place, it is requisite to know this, that the good man is not immediately happy from necessity; but that this is the case with the man who is both happy and good. For the happy man obtains both praise and the predication of blessedness; but the good man [so far as he is good] obtains praise alone. The praise also arises from virtue; but the predication of blessedness from good fortune. And the worthy man, indeed, becomes such from the goods which he possesses; but the happy man is sometimes deprived of his felicity. For the power of virtue is perfectly free, but that of felicity is subject to restraint. For long-continued diseases of the body, and depri-vations of the senses, cause the flourishing condition of felicity to waste away. God, however, differs from a good man in this, that God indeed not only possesses virtue genuine and purified from every mortal passion, but his power also is unwearied and unrestrained, as being adapted to the most venerable and magnificent production of eternal works. Man indeed, by the mortal condition of his nature, not only enjoys this power and this virtue in a less degree; but sometimes through the want of symmetry4 in the goods which he possesses, or through powerful custom, or a depraved nature, or through many other causes, he is unable to possess in the extreme a good which is perfectly true. Since therefore of goods, some are eligible for their own sakes, and not for the sake of another thing; but others are eligible for the sake of something else, and not on their own account; there is also a certain third species of goods, which is eligible both on its own account, and for the sake of another thing. What, therefore, is the good which is eligible on its own account, and not for the sake of something else? It is evident that it is felicity. For we aspire after other things for the sake of this, but we do not desire this for the sake of any thing else. Again, what are those goods which we desire indeed for the sake of something else, but which we do not desire on their own account? It is evident they are such things as are useful, and pre-eligible goods, which become the causes of our obtaining things which are eligible [on their own account]; such as corporeal labors, exercise, and frictions which are employed for the sake of a good habit of body; and also reading, meditation, and study, which are undertaken for the sake of things beautiful and virtue. But what are the things which are eligible on their own account, and also for the sake of something else? They are such things as the virtues, and the habits of them, deliberate choice and actions, and whatever adheres to that which is really beautiful. Hence, that indeed which is eligible on its own account, and not on account of something else, is a solitary good and one. But that which is eligible for its own sake, and for the sake of another thing, is triply divided. For one part of it indeed subsists about the soul; another about the body; and another pertains to externals. And that which is about the soul, consists of the virtues of the soul; that which is about the body, of the virtues of the body; and that which pertains to externals, consists of friends, glory, honor, and wealth. There is likewise a similar reasoning with respect to that which is eligible on account of something else. For one part of it indeed is effective of the goods of the soul; another part of it, of the goods of the body; and that which pertains to externals is the cause of wealth, glory, honor, and friendship. That virtue however happens to be eligible for its own sake, is evident from the following considerations. For if things which are naturally subordinate, I mean the goods of the body, are eligible for their own sakes, but the soul is better than the body, it is evident that we love the goods of the soul on their own account, and not for the sake of the consequences with which they are attended. There are likewise three definite times of human life; one of prosperity; another of adversity; and a third subsisting between these. Since therefore, he is a good man who possesses and uses virtue; but he uses it according to three seasons; for he uses it either in adversity, or in prosperity, or in the time between these; and in adversity indeed he is unhappy, but in prosperity happy, and in the middle condition, he is not happy [though he is not miserable];—this being the case, it is evident that felicity is nothing else than the use of virtue in prosperity. We now speak, however, of the felicity of man. But man is not soul alone, but is likewise body. For the animal which consists of both, and that which is constituted from things of this kind is man. For though the body is naturally adapted to be the instrument of the soul, yet this as well as the soul is a part of man [so far as he is an animal.5] Hence of goods also, some are the goods of man, but others, of the parts of man. And the good of man, indeed, is felicity. But of the parts of man, the good of the soul is prudence, fortitude, justice, and temperance. And the good of the body is beauty, health, a good corporeal habit, and excellence of sensation. With respect to externals however, wealth, glory, honor, and nobility, are naturally adapted to be attendant on man, and to follow precedaneous goods. The less, also, are ministrant to the greater goods. Thus friendship, glory, and wealth, are ministrant both to the body and the soul; but health, strength, and excellence of sensation, are subservient to the soul; and prudence [i.e. wisdom] and justice are ministrant to the intellect of the soul. Intellect, however, is the satellite of Deity. For God is the most excellent, and the leader and ruler of all things. And for the sake of these, it is necessary that other goods should be present. For the general, indeed, is the leader of the army; the pilot, of the ship; God, of the world; and intellect, of soul. But prudence is the leader of the felicity pertaining to life. For prudence is nothing else than the science of the felicity which respects human life, or the science of the goods which naturally pertain to man. And the felicity, indeed, and life of God are most excellent; but the felicity of man consists of science, and virtue, and in the third place of prosperity6 corporalized. But I mean by science, the wisdom pertaining to things divine and demoniacal; and by prudence, the wisdom pertaining to human concerns, and the affairs of life. For it is requisite to call the virtues which employ reasonings and demonstrations, sciences. But it is fit to denominate virtue ethical, and the best habit of the irrational part of the soul, according to which we are said to possess certain qualities pertaining to manners; viz. by which we are called liberal, just, and temperate. But it is requisite to call prosperity, the preter-rational presence of goods, [or a supply of goods without the assistance of reason,] and which is not effected on account of it. Since therefore virtue and science are in our power, but prosperity is not; and since also felicity consists in the contemplation and performance of things [truly] beautiful; but contemplations and actions, when they are not prosperous, are attended with ministrant offices and necessity, but when they proceed in the right path, produce delight and felicity; and these things are effected in prosperity;—this being the case, it is evident that felicity is nothing else than the use of virtue in prosperity. Hence the good man is disposed with respect to prosperity, in the same manner as he who has an excellent and robust body. For such a one is able to endure heat and cold, to raise a great burden, and to sustain easily many other molestations. Since therefore felicity is the use of virtue in prosperity, we must speak concerning virtue and prosperity, and in the first place concerning prosperity. For of goods, some indeed do not admit of excess, and this is the case with virtue. For there is not any virtue which is excessive, nor any worthy man who is beyond measure good. For virtue has the fit and becoming for a rule, and is the habit of the decorous in practical concerns. But prosperity receives excess and diminution. And when it is excessive indeed, it generates certain vices, and removes a man from his natural habit; so that he frequently through this opposes the constitution of virtue. And this is not only the case with prosperity, but many other causes likewise may effect the same thing. For it is by no means proper to wonder, that some of those who play on the pipe should be arrogant men, who, bidding farewell to truth, ensnare by a certain false imagination those who are unskilled in music; and to disbelieve that a thing of this kind does not take place in virtue. For the more venerable a thing is, so much the more numerous are those that pretend to the possession of it. For there are many things which distort the habit and form of virtue; some of which are insidious arts and affectation; others are kindred physical passions, which sometimes produce an indecorum7 contrary to the true disposition [of virtue]. This also is effected through manners in which men have been nurtured for a long time; and it not unfrequently happens that it is produced through youth or old age, and through prosperity or adversity; and by other very numerous ways. Hence, we ought never to wonder, if sometimes a distorted judgment is formed of all things, the true disposition being changed.8 Thus we see that the most excellent carpenter frequently errs in the works which are the subjects of his art; and this is also the case with the general, the pilot, the painter, and in short, with all artists. And yet at the same time we do not deprive them of the habit which they possess. For as we do not rank among bad men him who at certain times acts intemperately, or unjustly, or timidly; so neither do we place him in the class of good men, who does something right in things pertaining to temperance, or justice, or fortitude. But it must be said that the conduct of bad men in things of this kind is casually right, and that good men [sometimes] err. A true judgment however [in these instances] is to be formed, not by looking to a certain occasion, or to a certain extent of time, but to the whole of life. But as indigence and excess are injurious to the body, yet excess and what are called superfluities, are naturally adapted to produce greater diseases [than those caused by indigence]; thus also prosperity or adversity injure the soul, when they unseasonably happen; yet that which is called by all men prosperity, is naturally adapted to produce greater diseases [than adversity], since it intoxicates like wine the reasoning power of good men. Hence it is more difficult to bear prosperity in a becoming manner than adversity. For all men when they continue in adversity, are seen for the most part to be moderate and orderly in their manners; but in prosperity they are brave, magnificent, and magnanimous [when they bear it in a becoming manner]. For adversity has the power of contracting and depressing the soul; but prosperity, on the contrary, elevates and expands it. Hence all those that are unfortunate, are in their manners cautious and prudent; but those that are fortunate are insolent and confident. But the boundary of prosperity, is that which a good man would deliberately choose to co-operate with him in his own proper actions; just as the [proper] magnitude of a ship, and the [proper] magnitude of a rudder, are such as will enable a good pilot to sail over a great extent of sea, and to accomplish a great voyage. An excess of prosperity, however, is not naturally adapted to be vanquished by, but to vanquish the soul. For as a [very] splendid light causes an obscuration of sight in the eyes; thus also excessive prosperity darkens the intellect of the soul. And thus much may suffice concerning prosperity. The order of the soul subsists in such a way, that one part of it is the reasoning power, another is anger, and another is desire. And the reasoning power, indeed, has dominion over knowledge; anger over impetus; and desire intrepidly rules over the appetitions of the soul. When therefore these three parts pass into one, and exhibit one appropriate composition, then virtue and concord are produced in the soul. But when they are divulsed from each other by sedition, then vice and discord are produced in the soul. It is necessary, however, that virtue should have these three things, viz. reason, power, and deliberate choice. The virtue, therefore, of the reasoning power of the soul is prudence; for it is a habit of judging and contemplating. But the virtue of the irascible part, is fortitude; for it is a habit of resisting, and enduring things of a dreadful nature. And the virtue of the epithymetic or appetitive part is temperance; for it is a moderation and detention of the pleasures which arise through the body. But the virtue of the whole soul is justice. For men indeed become bad, either through vice, or through incontinence, or through a natural ferocity. But they injure each other, either through gain, or through pleasure, or through ambition. Vice, therefore, more appropriately belongs to the reasoning part of the soul. For prudence indeed is similar to art; but vice to pernicious art. For it invents contrivances for the purpose of acting unjustly. But incontinence rather pertains to the appetitive part of the soul. For continence consists in subduing, and incontinence in not subduing pleasures. And ferocity pertains to the irascible part of the soul. For when some one, through acting ill from desire, is gratified not as a man should be, but as a wild beast, then a thing of this kind is denominated ferocity. The effects also of these dispositions are consequent to the things for the sake of which they are performed. For avarice is consequent to vice; but vice is consequent to the reasoning part of the soul. And ambition, indeed, follows from the irascible part; and this becoming excessive, generates ferocity. Again, pleasure pertains to the appetitive part; but this being sought after more vehemently, generates incontinence. Hence, since the acting unjustly is produced from so many causes, it is evident that acting justly is effected through an equal number of causes. For virtue, indeed, is naturally beneficent and profitable; but vice is productive of evil, and is noxious. Since, however, of the parts of the soul, one is the leader, but the other follows, and the virtues and the vices subsist about these, and in these; it is evident that with respect to the virtues also, some are leaders, others are followers, and others are composed from these. And the leaders, indeed, are such as prudence; but the followers are such as fortitude and temperance; and the composites from these, are such as justice. The passions, however, are the matter of virtue; for the virtues subsist about, and in these. But of the passions, one is voluntary, but another is involuntary. And the voluntary, indeed, is pleasure; but the involuntary is pain. Men also, who have the political virtues, give intension and remission to these, co-harmonizing the other parts of the soul, to that part which possesses reason. But the boundary of this co-adaptation, is for intellect not to be prevented from accomplishing its proper work, either by indigence, or excess. For that which is less excellent, is co-arranged for the sake of that which is more excellent. Thus in the world, every part that is always passive, subsists for the sake of that which is always moved. And in the conjunction of animals, the female subsists for the sake of the male. For the latter sows, generating a soul; but the former alone imparts matter to that which is generated. In the soul however, the irrational subsists for the sake of the rational part. For anger and desire are co-arranged in subserviency to the first part of the soul; the former as a certain satellite, and guardian of the body; but the latter as a dispensator and provident curator of necessary wants. But intellect being established in the highest summit of the body, and having a prospect in that which is on all sides splendid and transparent,9 investigates the wisdom of [real] beings. And this is the work of it according to nature, viz. having investigated, and obtained the possession [of truth] to follow those beings who are more excellent and more honorable than itself. For the knowledge of things divine and most honorable, is the principle, cause, and rule of human blessedness. The virtue of man is the perfection of the nature of man. For every being becomes perfect, and arrives at the summit of excellence according to the proper nature of its virtue. Thus the virtue of a horse, is that which leads the nature of a horse to its summit. And the same reasoning is applicable to the several parts of a thing. Thus the virtue of the eyes is acuteness of vision: and this in the nature of the eyes is the summit. The virtue of the ears also, is acuteness of hearing: and this is the summit of the nature of the ears. Thus too, the virtue of the feet is swiftness: and this is the summit of the nature of the feet. It is necessary however, that every virtue should have these three things, reason, power, and deliberate choice; reason indeed, by which it judges and contemplates; power, by which it prohibits and vanquishes; and deliberate choice, by which it loves and delights in [what is proper]. To judge, therefore, and contemplate, pertain to the dianoetic part of the soul; but to prohibit and vanquish are the peculiarity of the irrational10 part of the soul; and to love and delight in what is proper, pertain to both the rational and irrational parts. For deliberate choice consists of dianoia [or the discursive energy of reason] and appetite. Dianoia therefore, belongs to the rational, but appetite to the irrational part of the soul. The multitude however, of all the virtues, may be perceived from the parts of the soul; and in a similar manner the generation and nature of virtue. For of the parts of the soul, there are two that rank as the first, viz. the rational and the irrational parts. And the rational part indeed, is that by which we judge and contemplate; but the irrational part is that by which we are impelled and desire. These however, are either concordant or discordant with each other. But the contest and dissonance between them, are produced through excess and defect. It is evident therefore, that when the rational vanquishes the irrational part of the soul, endurance and continence are produced; and that when the former leads, and the latter follows, and both accord with each other, then virtue is generated. Hence, endurance and continence are generated accompanied with pain; but endurance resists pain, and continence pleasure. Incontinence however, and effeminacy, neither resist nor vanquish [pleasure]. And on this account it happens that men fly from good through pain, but reject it through pleasure. Praise likewise, and blame, and every thing beautiful in human conduct are produced in these parts of the soul. And in short, the nature of virtue derives its subsistence after this manner. The species however, and the parts of it, may be surveyed as follows: Since there are two parts of the soul, the rational and the irrational; the latter is divided into the irascible and appetitive. And the rational part indeed, is that by which we judge and contemplate; but the irrational part is that by which we are impelled and desire. And of this, that which is as it were adapted to defend us, and revenge incidental molestations, is denominated the irascible part; but that which is as it were orectic of, and desires to preserve the proper constitution of the body, is the appetitive part. It is evident therefore, that the multitude of the virtues, their differences, and their peculiarities, follow conformably to these parts of the soul. Every virtue is perfected, as was shown by us in the beginning, from reason, deliberate choice, and power. Each of these, however, is not by itself a part of virtue, but the cause of it. Such therefore, as have the intellective and gnostic part of virtue,11 are denominated skilful and intelligent; but such as have the ethical and pre-elective part of it, are denominated useful and equitable.12 Since however, man is naturally adapted to act unjustly from exciting causes; and these are three, the love of pleasure in corporeal enjoyments; avarice, in the accumulation of wealth; and ambition, in surpassing those that are equal and similar to him;—this being the case, it is necessary to know, that it is possible to oppose to these such things as procure fear, shame, and desire in men; viz. fear through the laws, shame through the Gods, and desire through the energies of reason. Hence, it is necessary that youth should be taught from the first to honor the Gods and the laws. For from these, it will be manifest, that every human work, and every kind of human life, by the participation of sanctity and piety, will sail prosperously [over the sea of generation]. The principles of all virtue are three; knowledge, power, and deliberate choice. And knowledge indeed, is that by which we contemplate and form a judgment of things; power is as it were a certain strength of the nature13 from which we derive our subsistence, and is that which gives stability to our actions; and deliberate choice is as it were certain hands of the soul by which we are impelled to, and lay hold on the objects of our choice. The order of the soul also subsists as follows: One part of it is the reasoning power, another part is anger, and another is desire. And the reasoning power indeed, is that which has dominion over knowledge; anger is that which rules over the ardent impulses of the soul; and desire is that which willingly rules over appetite. When therefore, these three pass into one, so as to exhibit one co-adaptation, then virtue and concord are produced in the soul; but when they are seditious, and divulsed from each other, then vice and discord are generated in the soul. And when the reasoning power prevails over the irrational parts of the soul, then endurance and continence are produced; endurance indeed, in the retention of pains; but continence in the abstinence from pleasures. But when the irrational parts of the soul prevail over the reasoning power, then effeminacy and incontinence are produced; effeminacy indeed, in flying from pain; but incontinence, in the being vanquished by pleasures. When however, the better part of the soul governs, but the less excellent part is governed; and the former leads, but the latter follows, and both consent, and are concordant with each other, then virtue and every good are generated in the whole soul. When likewise the appetitive follows the reasoning part of the soul, then temperance is produced; but when this is the case with the irascible part, fortitude is produced; and when it takes place in all the parts of the soul, then justice is the result. For justice is that which separates all the vices and all the virtues of the soul from each other. And justice is a certain established order of the apt conjunction of the parts of the soul, and perfect and supreme virtue. For every good is contained in this; but the other goods of the soul cannot subsist without this. Hence justice possesses great strength both among Gods and men. For this virtue contains the bond by which the whole and the universe are held together, and also by which Gods and men are connected. Justice therefore, is said to be Themis among the celestial, but Dice among the terrestrial Gods; and Law among men. These assertions however, are indications and symbols, that justice is the supreme virtue. Hence virtue, when it consists in contemplating and judging, is called prudence; when in sustaining things of a dreadful nature, it is denominated fortitude; when in restraining pleasure, temperance; and when in abstaining from gain, and from injuring our neighbours, justice. Moreover, the arrangement of virtue according to right reason, and the transgression of it contrary to right reason, produce [in the former case] a tendency to the decorous as the final mark, and [in the latter] the frustration of it. The decorous however, is that which ought to be. But this does not require either addition or ablation; since it is that which it is requisite to be. But of the indecorous there are two species; one of which is excess, and the other defect. And excess indeed, is more, but deficiency is less, than is decorous. Virtue also, is a certain habit of the decorous. Hence it is directly, both a summit and a medium. For thus, things that are decorous are both media and summits. They are media indeed, because they fall between excess and deficiency; but they are summits, because they do not require either addition or ablation. For they are the very things themselves which they ought to be. Since however, the virtue of manners is conversant with the passions, but of the passions pleasure and pain are supreme, it is evident that virtue does not consist in extirpating the passions of the soul, pleasure and pain, but in co-harmonizing them. For neither does health, which is a certain apt mixture of the powers of the body, consist in expelling the cold and the hot, the moist and the dry; but in these being [appropriately] mingled together. For it is as it were, a certain symmetry of these. Thus too, in music, concord does not consist in expelling the sharp and the flat; but when these are co-harmonized, then concord is produced, and dissonance is exterminated. In a similar manner, the hot and the cold, the moist and the dry, being harmoniously mingled together, health is produced, and disease destroyed. But when anger and desire are co-harmonized, the vices and the [other] passions are extirpated, and the virtues and manners are ingenerated. Deliberate choice however, in beautiful conduct, is the greatest peculiarity of the virtue of manners. For it is possible to use reason and power without virtue; but it is not possible to use deliberate choice without it. For deliberate choice indicates the dignity of manners. Hence also, the reasoning power subduing by force anger and desire, produces continence and endurance. And again, when the reasoning power is violently dethroned by the irrational parts, then incontinence and effeminacy are produced. Such dispositions however, of the soul as these, are half-perfect virtues, and half-perfect vices. For the reasoning power of the soul is [according to its natural subsistence] in a healthy, but the irrational parts are in a diseased condition. And so far indeed, as anger and desire are governed and led by the rational part of the soul, continence and endurance become virtues; but so far as this is effected by violence, and not voluntarily, they become vices. For it is necessary that virtue should perform such things as are fit, not with pain, but with pleasure. Again, so far as anger and desire govern the reasoning power, effeminacy and incontinence are produced, which are certain vices. But so far as they gratify the passions with pain, knowing that they are erroneous, in consequence of the eye of the soul being sane,—so far as this is the case, they are not vices. Hence, it is evident that virtue must necessarily perform what is fit voluntarily; that which is involuntary indeed, not being without pain and fear; and that which is voluntary, not subsisting without pleasure and delight. By division also it will at the same time be found that this is the case. For knowledge and the perception of things, are the province of the rational part of the soul; but power pertains to the irrational part. For not to be able to resist pain, or to vanquish pleasure, is the peculiarity of the irrational part of the soul. But deliberate choice subsists in both these, viz. in the rational, and also in the irrational part. For it consists of dianoia and appetite; of which, dianoia indeed, pertains to the rational, but appetite to the irrational part. Hence every virtue consists in a co-adaptation of the parts of the soul; and both will and deliberate choice, entirely subsist in virtue. Universally therefore, virtue is a certain co-adaptation of the irrational parts of the soul to the rational part. Virtue however, is produced through pleasure and pain receiving the boundary of that which is fit. For true virtue is nothing else than the habit of that which is fit. But the fit, or the decorous, is that which ought to be; and the unfit, or indecorous, is that which ought not to be. Of the indecorous however, there are two species, viz. excess and defect. And excess indeed, is more than is fit; but defect is less than is fit. But since the fit is that which ought to be, it is both a summit and a middle. It is a summit indeed, because it neither requires ablation, nor addition; but it is a middle, because it subsists between excess and defect. The fit, however, and the unfit, are to each other as the equal and the unequal, that which is arranged, and that which is without arrangement; and both the two former and the two latter are finite and infinite.14 On this account, the parts of the unequal are referred to the middle, but not to each other. For the angle is called obtuse which is greater than a right angle; but that is called acute, which is less than a right angle. The right line also [in a circle] is greater, which surpasses that which is drawn from the center. And the day is longer indeed, which exceeds that of the equinox. Diseases, likewise, of the body are generated, through the body becoming more hot or more cold [than is proper]. For that which is more hot [than is fit] exceeds moderation; and that which is more cold [than is fit] is below mediocrity. The soul also, and such things as pertain to it, have this disposition and analogy. For audacity indeed, is an excess of the decorous in the endurance of things of a dreadful nature; but timidity is a deficiency of the decorous. And prodigality is an excess of what is fit in the expenditure of money; but illiberality is a deficiency in this. And rage indeed, is an excess of the decorous in the impulse of the irascible part of the soul; but insensibility is a deficiency of this. The same reasoning likewise applies to the opposition of the other dispositions of the soul. It is necessary however, that virtue, since it is a habit of the decorous, and a medium of the passions, should neither be [wholly] impassive, nor immoderately passive. For impassivity indeed, causes the soul to be unimpelled, and to be without an enthusiastic tendency to the beautiful in conduct; but immoderate passivity causes it to be full of perturbation, and inconsiderate. It is necessary therefore, that passion should so present itself to the view, in virtue, as shadow and outline in a picture. For the animated and the delicate, and that which imitates the truth, in conjunction with goodness of colors, are especially effected in a picture through these [i.e. through shadow and outline]. But the passions of the soul are animated by the natural incitation and enthusiasm of virtue. For virtue is generated from the passions, and when generated, again subsists together with them; just as that which is well harmonized consists of the sharp and the flat, that which is well mingled consists of the hot and the cold, and that which is in equilibrium derives its equality of weight from the heavy and the light. It is not therefore necessary to take away the passions of the soul; for neither would this be profitable; but it is requisite that they should be co-harmonized with the rational part, in conjunction with fitness and mediocrity. I say that virtue will be found sufficient to the avoidance of infelicity, and vice to the non-attainment of felicity, if we judiciously consider the habits [by which these are produced]. For it is necessary that the bad man should always be miserable; whether he is in affluence, for he employs it badly; or whether he is in penury; just as the blind man, whether he has light, and the most splendid visible object before him, or whether he is in the dark [is always necessarily without sight]. But the good man is not always happy; for felicity does not consist in the possession, but in the use of virtue. For neither does he who has sight always see; for he will not see, if he is without light. Life, however, is divided into two paths; one of which is more arduous, and in which the patient Ulysses walked; but the other is more free from molestation, and is that in which Nestor proceeded. I say therefore that virtue desires the latter, but is able to proceed in the former of these paths. The nature however of felicity proclaims it to be a desirable and stable life, because it gives perfection to the decision of the soul. Hence the virtuous man who does not obtain such a life as this, is not indeed happy, nor yet entirely miserable. No one therefore will dare to say that the good man should be exempt from disease, and pain, and sorrow. For as we leave certain painful things to the body, so likewise we must permit them to be present with the soul. The sorrows, however, of fools are most irrational; but those of wise men proceed only as far as reason, which gives limitation to things, permits. Moreover, the boast of apathy dissolves the generosity of virtue, when it opposes itself to things of an indifferent nature, and not to evils such as death, and pain, and poverty. For things which are not evils are easily vanquished. We should therefore exercise ourselves in the mediocrity of the passions, as we shall then equally avoid insensibility, and too much passivity, and shall not speak higher of our nature than we ought. I say then that the good man is one who uses in a beautiful manner great things and opportunities. He likewise is able to bear well both prosperity and adversity. In beautiful and honorable circumstances also, he becomes worthy of the condition in which he is placed; and when his fortune is changed, receives it in a proper manner. In short, on all occasions, he contends well from contingencies that may arise. Nor does he only thus prepare himself [for whatever may happen], but likewise those who confide in and contend together with him. Prudence and prosperity subsist, with reference to each other, as follows: Prudence indeed is effable and possesses reason; for it is something orderly and definite. But prosperity is ineffable and irrational; for it is something disorderly and indefinite. And prudence, indeed, is prior, but prosperity is posterior in beginning and in power. For the former is naturally adapted to govern and define; but the latter to be governed and defined. Moreover, both prudence and prosperity receive co-adaptation, since they concur in one and the same thing. For it is always necessary that the thing which bounds and co-arranges, should have a nature which is effable and participates of reason; but that the thing which is bounded and co-arranged, should be naturally ineffable and irrational. For the reason of the nature of the infinite and of that which bounds, thus subsists in all things. For infinites are always naturally disposed to be bounded and co-arranged by things which possess reason and prudence, since the former have the order of matter and essence with relation to the latter. But finites are co-arranged and bounded from themselves, since they have the order of cause, and of that which is energetic. The co-adaptation, however, of these natures in different things, produces a great and various difference of co-adapted substances. For in the comprehension of the whole of things, the co-adaptation of both the natures, i.e. of the nature which is always moved, and of that which is always passive, is the world. For it is not possible for the whole and the universe to be otherwise saved, than by that which is generated being co-adapted to that which is divine, and that which is always passive to that which is always moved.15 In man, likewise, the co-adaptation of the irrational to the rational part of the soul, is virtue. For it is not possible in these, when there is sedition in both the parts, that virtue should have a subsistence. In a city also, the co-adaptation of the governors to the governed, produces strength and concord. For to govern is the peculiarity of the better nature; but to be governed, is easier to the subordinate [than to the more excellent] nature. And strength and concord are common to both. There is, however, the same mode of adaptation in the universe and in a family: for allurements16 and erudition concur with reason in one and the same thing; and likewise pains and pleasures, prosperity and adversity. For the life of man requires intension and remission, sorrow and gladness, prosperity and adversity. For some things are able to collect and retain the intellect to industry and wisdom; but others impart relaxation and delight, and thus render the intellect vigorous and prompt to action. If however one of these prevails in life, then the life of man becomes of one part, and verges to one part, tending either to sorrow and difficulty, or to remission and levity. But the co-adaptation of all these ought to subsist with reference to prudence. For this separates and distinguishes17 bound and infinity in actions. Hence prudence is the leader and mother of the other virtues. For all of them are co-harmonized and co-arranged with reference to the reason and law of this virtue. And now my discussion of this subject is terminated. For the irrational and the effable are in all things. And the latter defines and bounds; but the former is defined and bounded. That, however, which consists of both these, is the apt composition of the whole and the universe. The prudent [i.e. the wise] man will especially become so as follows: In the first place, being naturally sagacious, possessing a good memory, and being a lover of labor, he should exercise his dianoetic power immediately from his youth in reasonings and disciplines, and in accurate theories, and adhere to genuine philosophy. But after this he should acquire knowledge and experience in what pertains to the Gods, the laws, and human lives. For there are two things from which the disposition of prudence is produced; one of which consists in obtaining a mathematical and gnostic habit; but the other, in a man perceiving by himself many theorems and things, and understanding other things through a certain different mode. For neither is he sufficient to the possession of prudence, who immediately from his youth has exercised his dianoetic power in reasonings and disciplines; nor he who being destitute of these, has heard and has been conversant with a multitude of things. But the latter will have his dianoetic power blind, through judging of particulars; and the former through always surveying universals. For as in computations the amount of the whole is obtained by the addition of the parts, thus also in things, reason is able to delineate the theory of universals; but experience has the power of forming a judgment of particulars. It is necessary that you should become scientific, either by learning from another person, or by discovering yourself the things of which you have a scientific knowledge. If, therefore, you learn from another person, that which you learn is foreign; but what you discover yourself is through yourself, and is your own. Moreover, if you investigate, discovery will be easy, and soon obtained; but if you do not know how to investigate, discovery will be to you impossible. And [right] reasoning indeed, when discovered, causes sedition to cease, and increases concord. For through this the inexhaustible desire of possessing is suppressed, and equality prevails; since by this we obtain what is just in contracts. Hence, on account of this, the poor receive from those who are able to give; and the rich give to those that are in want, both of them believing that through this they shall obtain the equal. This however will be a rule and an impediment to those that act unjustly, viz. that men who possess scientific knowledge will appease their anger, prior to the comm-ission of an injury, being persuaded that the perpetrators of it will not be concealed when it is committed; but that those who do not possess scientific knowledge, becoming manifest in the commission of an injury, will be restrained from acting unjustly. It appears to me that the justice which subsists among men, may be called the mother and the nurse of the other virtues. For without this a man can neither be temperate, nor brave, nor prudent. For it is the harmony and peace, in conjunction with elegance, of the whole soul. The strength however of this virtue will become more manifest, if we direct our attention to the other habits. For they have a partial utility, and which is referred to one thing; but this is referred to whole systems, and to a multitude. In the world therefore, it conducts the whole government of things, and is providence, harmony, and Dice, by the decree of a certain genus of Gods. But in a city it is justly called peace, and equitable legislation. And in a house, it is the concord between the husband and wife; the benevolence of the servant towards the master; and the anxious care of the master for the welfare of the servant. In the body likewise, which is the first and dearest thing to all animals, [so far as they are animals,] it is the health and intireness of all the parts. But in the soul, it is the wisdom, which among men subsists from science and justice. If therefore, this virtue thus disciplines and saves both the whole and the parts [of every thing] rendering things concordant and familiar with each other, how is it possible it should not be called by the decision of all men, the mother and the nurse of all things? 2. Gale says in his notes, that after ὀφθαλμων he adds φύσιος, but he should evidently have added ἀρετα, as in the above translation. 3. In the original σύν τᾳ ὀξυδορκίᾳ, which Canter very defectively translates, videndi facultate. 4. For ου μετρίαν here, I read ἀσυμμετρίαν. 5. i.e. So far as he is considered as energizing in conjunction with the body; but so far as he has an energy independent of the body, viz. so far as he is a rational soul, the body is not to be considered as apart of his essence. And the energy of the rational soul by itself alone, without any assistance from the corporeal organs, constitutes the true man, into the definition of which body does not enter. δια δε το προσδεισθαι της τυχης, δοκει τισι ταυτον ειναι η ευτυχια τῃ ευδαιμονιᾳ, ουκ ουσα· επει και αυτη υπερβαλλουσα, εμποδιος εστι. But Canter did not, I believe, pretend to have any knowledge of philosophy: and Gale, who did, has not corrected him in this and many other places in which he has erred through the want of this knowledge. Gale however, though verbally learned, was but a garrulous smatterer in philosophy, as is evident from his notes on Iamblichus de Mysteriis. 7. For ὲπιπρέπειαν here, I read ἀπρέπειαν. 8. In the original: ὤστε οὐδέποκα δεῖ θαύμαινεν, εἰ παντ’ ἀντεστραμμένως ἐνιόκα κρίνεται, τάς ἀληθινας διαθέσιος μεταπίπτοισας, which Canter erroneously translates as follows: “Quocirca mirandum non est, si cuncta nonnunquam, verâ affectione mutatâ, aliter eveniunt.” Nor is the error noticed by Gale. σφᾶιρᾰ ψυχῆς αὐτοειδής, (lege αὐγοειδής) ὄταν μήτε ἐκτείνηται ἐπι τι, μήτε ἔσω συντρέχῃ μήτε συνιζάνῃ, ἀλλά φῶτι λαμπήται, ῳ τὴν ἀλήθειαν ὄρᾳ τὴν πάντων, καὶ τὴν ἐν αὐτῃ. Lib. II. 10. M. Meibomius observes, that Canter did not see that λογιστικω should be written in this place for ἄλογω. Canter however was right in retaining ἀλογω. For the dianoetic is the same with the logistic part of the soul; and it is evident that a part of the soul different from the dianoetic is here intended to be signified. Besides, as Aristotle shows in his Nicomachean Ethics, when the irrational becomes obedient to the rational part of the soul, the former then prohibits and vanquishes base appetites in conjunction with the latter. 11. viz. Such as have the theoretic virtues. 12. i.e. Such as have the ethical and political virtues. 13. The original is, ἁ δὲ δύναμις, οἱον ἀλκά τις τω σκάνεος ᾁ ὑφιστάμὲθα, καὶ εμμένομες τοις πράγμασιν. This sentence in its present state is certainly unintelligible. For σκάνεος therefore, I read φύσεως, and then the sense will be as in the above translation. The version of Canter is certainly absurd; for it is “Facultas tanquam robur et causæ, quo ferimus, et in rebus permanemus.” And Gale, as usual, takes no notice of the absurdity. 14. viz. The equal and that which is arranged, belong to the order of bound, and the unequal and that which is without arrangement, to the order of infinity. And bound and infinity are the two great principles of things after the ineffable cause of all. See the third book of my translation of Proclus, On the Theology of Plato. 15. viz. The salvation of the universe arises from the co-adaptation of the sublunary region to the heavens. 16. In the Greek ἐπῳδὰς; on which Gale observes, “Forte ἀμᾰθίας nisi aliud subsit mysterium.” But it appears to me that there is no occasion to substitute any other word for ἐπῳδὰς. For in the education of youth, it is certainly requisite to unite allurement with erudition. And the substitution of ἀμᾰθίας, ignorance, is monstrous. 17. In the original ἀυτὰ γὰρ ἁ διενεργῦσα, instead of which Gale proposes to read αὐτὰ γὰρ ἁδε ἐνεργοισα, which still leaves the sentence involved in obscurity. But if for διενεργῦσα we read διοριζοῦσα as in the above translation, the meaning is clear.